Clea Raymond has felt the glare of the spotlight her entire life. The daughter of a renowned surgeon and a prominent Washington DC politician, she has grown to be a talented photojournalist who takes refuge in a career that allows her to travel to the most exotic parts of the world. But after Clea’s father disappears while on a humanitarian mission, Clea’s photos begin to feature eerie, shadowy images of a strange and beautiful man—a man she has never seen before. When fate brings Clea and this man together, she is stunned by the immediate and powerful connection she feels with him. As they grow closer, they are drawn deep into the mystery behind her father’s disappearance, and they discover the centuries old truth behind their intense bond. Torn by a dangerous love triangle and haunted by a powerful secret that holds their fates, together they race against time to unravel their pasts in order to save their lives—and their futures. Celeb turned author is all the rage today. You simply have to walk into any random bookstore to find one celeb or another writing about this or that. Thankfully, the Young Adult genre has been slightly untouched by this new phenomenon. Enter Hillary Duff. 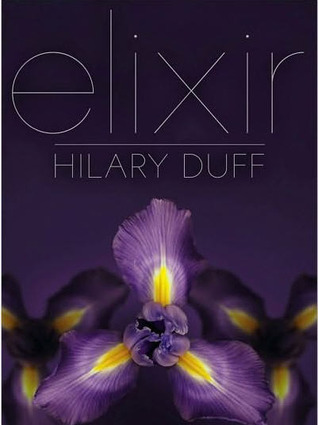 When I first heard of Elixir, my inital reaction was "ooo, pretty cover." My next, more realistic, reaction was "she can write?" Going into the novel. I had tons of assumptions about Elixir. Some were right on and some were way off. Elixir is surprisingly a quick read. You might not think that based on the 327 page count. But for some reason, I flew through this novel. Duff and Allen have created a decent setting with characters that made me wish I was a few years younger, so that I might be able to fully appreciate them. From the beginning, these characters and I had a problem clicking. Maybe it was the way they acted, maybe it was the way they talked, or maybe it was just everything. I really don't know. But whatever it was, it was not what I was wanting it to be. The plot of Elixir, unfortunately, did the same. I will be really honest. I wanted to like Elixir… heck, I wanted to love this book. But I couldn't. Yes, there are elements to the novel that were promising. Past lives, soul mates, mythology. However, all this was ruined by sloppy writing and characters that made me want to pull my hair out. It is every paranormal YA cookie-cutter formula pulled into one book. Ulitimately, Elixir was not for me. Duff's debut novel had promise, but as author, she needs a lot more polish. And to add insult to injury, due to Elixir's abrupt ending, I have tons of unanswered questions. With the sequel on the horizon, I am not sure if I will be able to put aside my issues to venture back into this world. Hopefully, Duff and Allen can think outside a little bit on the next novel and turn things around. But I am not holding my breath. Great review. I did not care for anything – the characters, the plot, the ending – of this book. It was not the worst book I ever read, but I can’t see myself reading the sequel…. Interesting review. I’m not sure whether or not to pick this one up. I did enjoy Lizzie McGuire as a middle schooler, though, so I may pick it up for no other reason besides that. I guess this proves having a great idea isn’t enough to carry a story! I intended to pass on this one and after reading your review, I think I’m not going to change my mind.